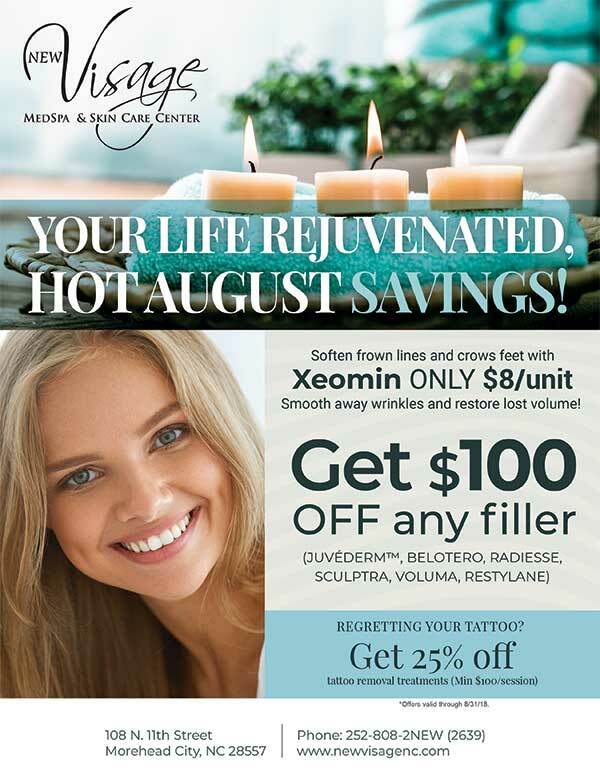 Hot August Savings On The Services You Love! August is here and New Visage is making it special! Recently, we asked what specials our clients wanted to see this month and we listened. As summer winds down and fall is on the horizon, August is the perfect time to finally have that treatment for our most popular services. Get amazing savings now on the top things that our clients love! Does smoothing away wrinkles and restoring lost volume sound like something you want or need? Now is the perfect time to try our fillers or bank your favorite ones because New Visage is offering $100 off fillers in August. With the latest treatments and most advanced formulas, a youthful look is only an appointment away. JUVÉDERM™, BELOTERO, RADIESSE, SCULPTRA, VOLUMA, RESTYLANE are all included in this offer. Sometimes a tattoo in the moment seems like a great idea. Although, later on as you grow older or circumstances change, you may begin to rethink your ink. This month you can save 25% off Tattoo Removal Services (a minimum $100 session is required). Have questions about tattoo removal, check out this blog for the 7 most frequently asked questions about it. In time, our everyday facial expressions can lead to lines and wrinkles in the skin. Aging also tends to bring facial creases. New Visage offers Xeomin to fight against those fine lines that tend to take over our foreheads over time. The FDA approved Xeomin in 2010 and it is one of the most common treatments used to reduce crow’s feet and forehead lines. Our savings this month are phenomenal so now is the time to get a refreshed look and save money too! If you are ready to rejuvenate your skin and look and feel your best, contact us today to take advantage of one or more of these specials. For the latest news, tips and tricks, and all things skin care, be sure to follow us on Facebook, Instagram, and Twitter. Next Post: September Means Special Treatment For You!